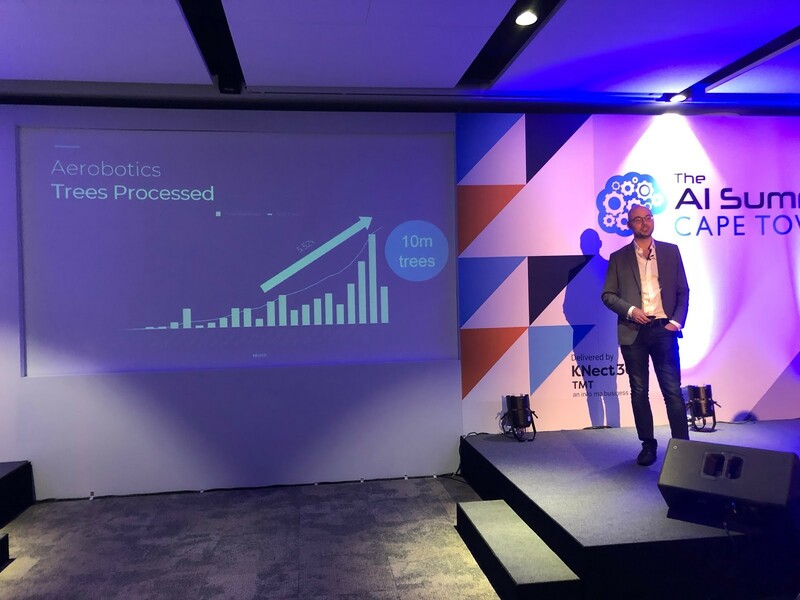 TechInAfrica – The Aerobotics’ CEO and Head of Growth, Tim Willis announced that the company has reached approximately 10 million milestones of trees and vines’ procession through Aerobotics’ software only in five days. The announcement was made during his presentation at the AfricaCom event held in Cape Town International Convention Center more than a week ago. During the presentation, Willis also explained that Artificial Intelligence (AI) was their great tool to boost the agriculture sector. He moreover said that AI has helped Aerobotics’ software gone stronger and more efficient, thus, the processed data in the software is also more frequent. How does Aerobotics process the data? Basically, Aerobotics uses data from drone and satellite imaginary then process them through its AI software in order to identify and solve issues affected on trees or vines on a farm. Furthermore, the software also does the measurement of size, height, and canopy volume. All the information about Aerobotics’ AI software can be found on its website as well as mobile apps. Over the past few months, the entire growth of processed trees has heightened significantly. Due to the significant increase, Aerobatics claimed that the farmers had a major role in the success. Moreover, it motivates them to create more innovations to level up their products and services to better serve global farmers.